Sydney have 3 of the top most inform players in Fantasy at the moment and they are smoking everyone. Josh Kennedy is the #2 player in the game even after 105 last week, which happened to be his worst score in his last 6 games. He had 134 on the Saints last year at Etihad where they meet again this week. Luke Parker sits at #6 on form with 128, 118 and 116 coming in his last three games and then Dan Hannebery after his last two scores of 129 and 145 sits just ahead of him on #5 based on form. Hannebery had 134 on the Saints last year but the catch here is… the Saints are actually the fourth hardest team to score against in recent weeks, despite the Blues scoring at ease in round 20. Simpson 135, Cripps 131 and Docherty 120 had a field day (in a loss) against them and that’s why I like the look of Tom Mitchell. He had 139 last week with 32 touches and 23 of them were uncontested. He is perfectly suited to playing under the roof where he has scored 143 and 142 there in his last two games, with that 142 against the Saints last year. He’s the #4 player based on form and he plays the easiest team to rack up numbers against. It just makes sense to consider this man this week. He had 131 last week in a week Adelaide went gangbusters on the Lions scoring 10×100+ scores with 4 of them being over 120. Last time they played the Lions, Cripps only managed 84 but he will be much better this time round. Sam Kerridge (139) and Ed Curnow (137) led the charge which might throw a spanner in the works for those who are considering off loading Kerridge like I am this week. Sloane has scored 117 and 128 in his last two games and after 135 on the Dockers in round 6, surely we need him in the top 5 this week. My concern is a tag from Tommy Sheridan who went to Gaff (57) last week. Sheridan might have found his role here as a tagger after a disappointing season to date. He was borderline best-22 for a while there and if this is his new role, then he’ll be milking it for all it’s worth. After his 89 last week, is Zach finally running out of juice and is the ‘rest’ we keep hearing about just around the corner. He scored 119 on the Suns in the opening round and that 89 was his first score under 100 in his last 10 games. I think he’ll crave it this week and my top 5 may even change, but if I’m a betting man, and I am… this rest will happen sooner rather than later. It’s the biggest dilemma this week and the one I will lose sleep over… will Ed Curnow tag Tom Rockliff? He went to Jack Steven (64) last week and claimed him as another one of his scalps for 2016. Curnow himself collected heaps of points (137) and this tells me the tag, especially in the second have wasn’t a full on tag. Out of interest… His half splits were 64 and 73. So Rocky went on and scored that 184, which actually wasn’t a huge fluke with scores of 143, 95 and 153 prior to that against the Blues. This game though is back at the GABBA where Rocky only managed 76 last time against the Power. His record there this year has been great there with scores of 128, 142, 132 and then 24 back at the start of the year when he got injured. It’s a tough call and although I’m 90% confident Curnow will go to the damaging Rich. If you are looking for a unique option this week, then maybe you stay away from Rocky and shop elsewhere. As for me… I’ll be backing in the pig. 144 last week and 142 against the Power in round 10… surely this is the week you can give Max Gawn a run as your captain. He has had 7×100+ scores in a row and meets Trengove who everyone (except for Naismith last week) is carving up. 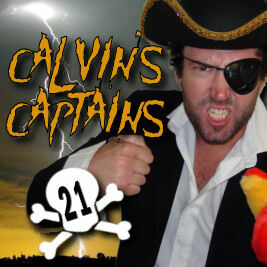 “But Calvin, the game is in Adelaide you twit” – oh right I am a twit. But did you know that Max actually averages 24pts more away from the MCG than he does when he plays at home. 119 in fact is what he has averaged in his 8 away games this year is a super impressive record. He had 18d, 8m, 42 hit outs and 2 goals against Trengove last time and there’s no reason he won’t be even better second time round. Lachie Hunter v Collingwood @ Etihad Stadium – 75 and 85 in his last two and even with 122 on the Pies in round 10 and under the roof this time round. He does come with a small risk due to dodgey form. Stephen Coniglio v West Coast @ SPO – Never scored 100 in his career against the Eagles and last week, only one Docker managed 100 against them. He’ll score a nice low 100 this week though. Nick Riewoldt v Sydney @ Etihad Stadium – 16 marks last week for his 117, his best score in 8 weeks. Sydney will be much tougher though and he only had 82 on them in 2015. Heath Shaw v West Coast @ SPO – Headache Heath is back. Even with 106 on the Eagles last year, I think he’ll be good, but you can’t trust him. Taylor Adams v Bulldogs @ Etihad Stadium – In round 10 when these teams met, 12 players cracked a ton. Expect another high scoring game here and for Taylor to be involved again. Dusty Martin v Geelong @ the MCG – Essendon managed 2×115 scores against the Cats last week, but they are the #3 hardest team at the moment. Dusty only has one 100+ score under his belt against the Cats from 5 games and he needs to look out from a tag from Scott Selwood who is trying to find his spot in the team heading into AFL Finals. Scooter would love a big name scalp this week. Jack Steven v Sydney @ Etihad Stadium – 120 in his last against the Swans, but 64 and 73 in his last two games. Yuck, C’mon lift son. Lachie Neale v Adelaide @ Domain Stadium – He had 115 on the Crows in round 6 and even in a flogging, Rocky and Bastinac both managed 120+ last week. Patrick Dangerfield v Richmond @ the MCG – 105 last week against the Bombers… are you serious? Danger got busy late, but you won’t get a snout acting like that. He is still averaging 125 in his last 5 though and can never be written off. Steele and Treloar were the only 100+ scorers for the Pies last week, but Danger did have 120 on the Tigers last year. Hopefully he’s back to his best this week. Congrats Man!! Would you like a medal or a certificate for it? Dammit Calvin, was going to bring in Parker or JPK and now you’re making me consider Titchell. Lol I got JPK and Mitchell am considering Parker lol – too many Swans? If it was at the start of the season then yes but now that we’re getting to the pointy end, I think it’s fine. The big 4 (JPK, Titch, Hanners, Parker) seem to have no problem sharing it around in the last few matches! Into the preliminary finals this week, so happy to do anything with my team. Would be great if you could give me any suggestions!!!! Given the score this week doesn’t matter, double downgrade two rookies and then you have a war chest for upgrades next week. I advise against upgrading this week as the only thing that c an happen is that the premo you trade in gets injured. Downgrade collins to upgrade Ross,more points in the mid is a lot better. I get people’s comments about not trading in premiums in case of injuries since you have a week off. However, you’ve still got 3 ‘rookies’ starting in Ruggles, Menegola, and Kerridge. Depending on how much money you have, I say 1 downgrade and 1 upgrade this week to get a head start. Thanks everyone for your advice! I will probs double downgrade this week and double upgrade next week! Both are good but you will have to look out if hall is back from injury. If he is, then I would say option 2. If not, then you have an easy decision. Cripps is in great form and playing the easiest team. Hall is coming off injury and playing one of the toughest teams. Not sure why you’re considering this. What to do with Stef coming back? I have Archie at R2 – can we trust stef or trade him? Im stuck with that problem as well with Stef,ive got Nainsmith on the bench. Tough call regrdless.Im in Two must win finals.Ive got 41g in the bank.Ive got collins and wright on the field playing which i want to trade out both but who for?? ?Im stuck.I have hipwwod that can play,and no cover fwd.So im thinking keeping one of the two,and just downgrade Nainsmith to upgrade Collins to Enright or Williams,or Wright to idk who…HELP PLZ SOMEONE! I have to win this week as I got burnt by Clay Smith and a couple of underperforming Eagles (Gaff and Yeo). I’m tempted to unload them both and really like the look of Cripps, but the only way I can get him is if I downgrade Yeo to Rosa or keep Yeo and downgrade a 300k bench player to a 125k rookie? Are you confident these 2 eagles can bounce back or should I cut my losses and get Cripps (great run home) and Rosa (Essendon this week). I must win, so I’ll worry about next week, next week! As a Eagles supporter i say trade both Yeo and Gaff,i have little faith atm. +1 from another Eagles fan. Especially Yeo. Love him as a player but for fantasy he is a nightmare. He’s already been out 3 random times this year with some form of random illness. Also, I hate to say it but he’s a bit of a downhill skier. Best forward option? Already have merrett zorko dusty montag gray. Who takes the last spot? Roo? Dalhaus? Any others i should consider? Others to consider are: Devon Smith and Toby Greene. I upgraded my last fwd spot as well and have gone NRoo. Like his last game for the GF (v Brisbane) Has Richmond in the prelim and should score well.